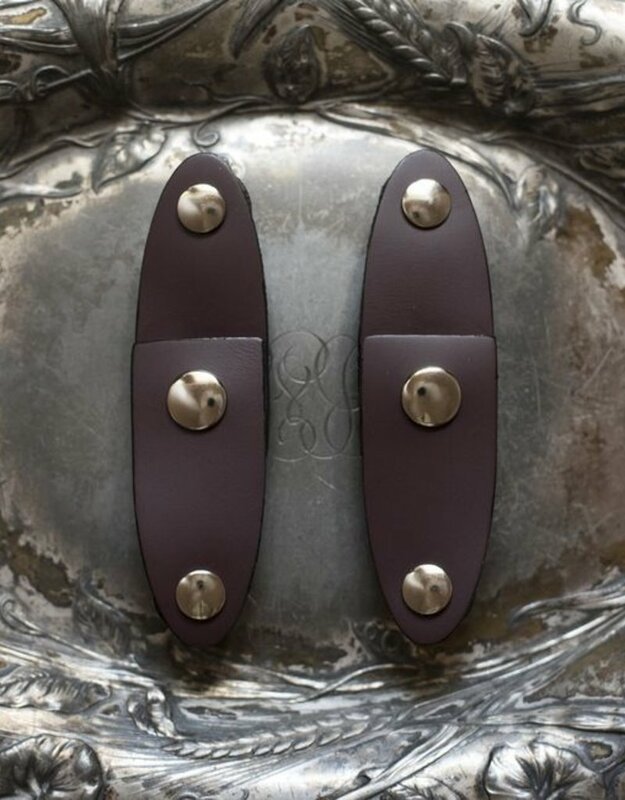 Made in the USA 100% Genuine Leather Sold in pairs 4 inches wide by 1 inch tall Available in Smooth Black & Aubergine The Oval Latch comes in pairs. It is the curvy cousin of The Latch, which is geomatric and slightly smaller in scale. The Oval Latch, in fact, was designed at the same time as The Latch, but I chose not to release it until now. This Oval version, because it is somewhat wider than the original Latch, is made of soft leather instead of the thicker, stiffer leather of its cousin. 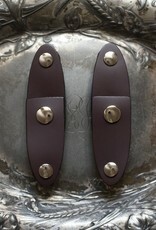 The soft matte black and aubergine of the Oval are light and supple. They work best in pairs or in fours or sixes, gaining visual strength in numbers.